Welsh rugby is a bit of a paradox at the moment. There is massive confusion and discontent between the amateur clubs and the Welsh Rugby Union (WRU) over restructuring of the club game, while at professional level a new agreement called 'Project Reset' has left the four regions and many of their players uncertain of their futures. However, there is no doubt that rugby is in their blood and this Welsh team, who are on a record winning run, are the pride of the nation. It is testament to Warren Gatland's coaching nous and man-management ability that he has kept the Welsh senior squad's eyes on the prize. 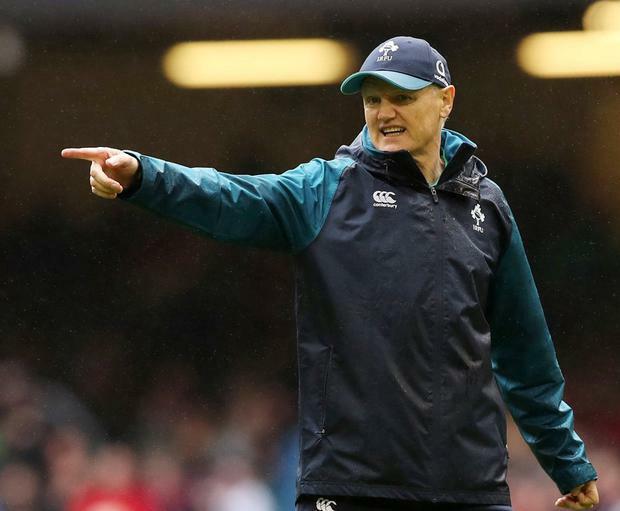 Joe Schmidt leaves with a blemish on his extraordinary record with Ireland: he has never won a Six Nations match in Cardiff. Big games bring out the best in big-game players and I can only imagine the likes of Rob Kearney, Johnny Sexton, Conor Murray, Peter O'Mahony and Rory Best would have been cranky all week trying to ensure their bodies and minds were ready to go deep into the well for their team once again. Just because they didn't perform at their best yesterday doesn't mean that the hunger and desire wasn't there. There is a new leadership group developing and Garry Ringrose and James Ryan are now incredibly important to us. Ryan's growth was formalised by being given responsibility for the lineout calling yesterday and to do that in the noise and cauldron of the Principality Stadium shows how much the coaches believe in him. Yesterday was a tough day for all Irish players young and old but the areas of the game exposed by Wales can be improved by the time we land in Japan for the Rugby World Cup. Given how well the Shaun Edwards defence system has been working it was always going to be incredibly difficult to chase a lead and we found ourselves doing exactly that after conceding that try in the opening minutes, when Hadleigh Parkes caught a brilliant chip from Gareth Anscombe during a penalty advantage. Wales' dream start came after a brilliant kick-off from Anscombe led to the ball arriving into Jacob Stockdale's hands a fraction of a second before George North tackled him into touch for a Wales lineout in Ireland's 22. When the rain started to fall heavily in the first half it made Ireland's job even tougher as it was very difficult to throw the three or four passes necessary to expose the space in the outside channels. It also meant that the injury to North was less of a blow to Wales as it allowed them to bring on Dan Biggar, who controlled the game from 10 and was also a huge threat under the high ball. They went to the air regularly, forcing Ireland to play from deep. I thought that Wales' goal-line stand in the 75th minute, when they defended phase after phase like they were defending a one-point lead, when 25 points were actually between the sides, was inspiring. They are going to be a real force at the World Cup and deserve all the accolades. To get back into the match after the bad start we needed a huge performance from our pack, but our set-piece didn't fire - the lineout was sloppy and our scrum surprisingly under big pressure, with Tadhg Furlong penalised twice. Nothing went right for us in the first half and the CJ Stander knock-on from the free-kick in the Welsh 22 summed up our afternoon. Ireland's rise to number two in the world was based on consistent execution of a smart game plan. Wales and Gatland are often praised for their physicality and fitness but yesterday they showed intelligence in how they played the conditions. They kicked 'long and on' inviting Murray or Kearney to counter-attack but then the Red Wall, the Wales kick-chase line closed down the space brilliantly. The post-mortem from this defeat will hurt but the patient isn't dead. It just needs a reboot. Wales and England analysed what gave us our competitive edge last year and have worked extensively on those areas. In fact, they made a point of taking those strengths away from us in both matches. Wales' breakdown work was brilliant and they managed to slow down our ball throughout the match and also even won two turnovers from the choke tackle, which was once an Irish tactic. We have not been kicking well or winning the aerial battles either, which have been a large part of our armoury for some time. We have used 36 players in this championship which will stand to us. The lead-in time to the World Cup is long and we have brilliant coaches. We will bounce back and hopefully this setback will help us bounce up higher than ever before.